Electric Heating – Which Heater Where? Are you thinking about installing solar panels at your home? The energy savings and ability to help the environment may be tempting reasons enough to install some panels on your roof. But before you make the installation appointment, here’s how to ensure solar panels are suitable for your household. Eastland Network’s 2016 solar trial gathered data to prepare for the future electricity needs of the Gisborne, East Coast and Wairoa regions. During the trial, nine residential properties received solar systems ranging in size from 2.5kWh to 4.16kWh to validate the economics of residential solar. Properties were chosen depending on the number of occupants, roof pitch, system size and building age. Although full trial results are still being assessed, some feedback has already been garnered to help people make an informed decision around solar installation. Is Your Roof Going to Last? Homeowners considering installing solar panels should ensure their roof is going to last the next 25 years. When roofs require repairs or a full replacement, solar panels will need to be removed – which could potentially void the manufacturer’s warranty. Is Your Roof Easily Accessible? 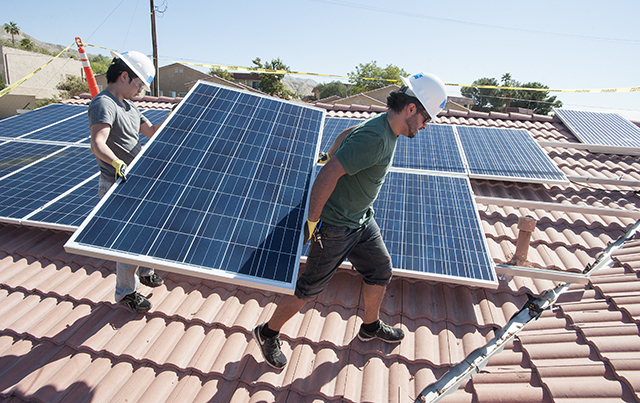 Yes, the majority of work will be completed at the beginning when the solar panels are installed on your home. However, regular maintenance will be needed on an ongoing basis. In order to do so successfully, your roof needs to have easy access. Your solar panels will need to be cleaned off regularly. If the pitch is too dangerous or other barriers prevent you from climbing onto your roof safely, then solar panels may not be a great idea. Are You Located where there’s Optimal Sunlight? Your solar panels will only generate a successful amount of sunlight if your home faces the proper direction. Optimal roofs are north-facing and not shaded by trees. An online tool such as Google Maps can identify the direction your roof faces to see if a suitable amount of sunlight would be available. Can Your Household Maximize Electricity during Peak Sunshine Hours? Without battery installations (which are an expensive addition to a solar installation), unused electricity is exported back to the grid immediately. So for solar power to be most effective, a household must use as much electricity as possible during daylight hours. The trial showed that the minimal amount of power that homes should use is 5,000kWh for solar panels to be a great investment. Other than installing solar panels, looking for ways to save on your energy costs? Switchme offers a free, online platform that enables Kiwis to easily switch to a more affordable energy supplier. Check it out today! A clothes dryer is indispensable – especially during the colder months when we can’t hang clothes outside to dry! Since you’re using it so regularly, this appliance is a great place to start applying money-saving tactics. When using your clothes dryer, keep a close eye on it so that it doesn’t run any longer than necessary. Consult your owner’s manual for tips on load sizes to avoid overloading. Want to really experience savings? Purchase a new model that is vented since they’re cheaper to run. Make sure that your new dryer is the most energy efficient that you can buy by comparing energy ratings. Spending more time inside during the cooler months usually means more time spent on electronics, too. Each piece of technology you own produces its own heat, which can quickly rack up your energy bill. If you use your computer or another electronic device intermittently, start turning it off or using the “sleep” mode at least. At the end of each day, unplug them from the wall, too. Electronics such as TVs and music systems are easy to turn off using their remotes. Although that will reduce your power consumption, they are still using electricity if the little red light remains on. Be sure to turn the device off at the wall for maximum cost savings. Many of us keep our fridge or freezer open while searching for something to eat, which makes all the cold air pour out. Prevent this from happening by having a meal idea in mind before you open the door, which you should close as quickly as possible. When shopping for your next fridge or freezer, avoid buying the wrong size since overfilling it will use more energy. Like your clothes dryer, an inefficiently run washing machine quickly racks up your power bill! Take care to avoid overloading the machine so that less electricity is used. Your owner’s manual will help you choose the appropriate settings for each load, ensuring only the necessary amount of power and water are used. Using only cold water with an excellent detergent will mean less money spent on each load, too. Reduce the time your clothes will spend in your dryer by using the highest spin cycle on everything except delicate items. Thinking of replacing your machine? Keep in mind that a new washing machine should be energy efficient, be an appropriate size for your household’s needs and have high spin speeds. When shopping for a new TV, remember that the bigger the screen is, the more power it will require. An even better way to reduce your energy costs related to watching TV? Reduce your screen time! By implementing our tips above, you will experience some cost-savings right away. To experience even greater savings, ensure you’re not overpaying on your energy costs. Use our free, online comparison calculator to find out if you could be saving more on your energy bill! You probably already know that it’s cheaper to use energy on off-peak times. But besides cost savings, did you know that there other benefits to off-peak energy use, too? A recent report from the Energy Efficiency and Conservation Authority (EECA) outlines the many advantages associated with reducing peak energy use. Here are three of them. One of the main reasons why power companies still rely on their coal plants is to keep up with peak energy usage. Coal plants create numerous environmental damages, including greenhouse gas emissions, mining destruction and waste generation. Reducing peak energy use could decrease (and possibly eliminate) the need for coal plants, thus creating a much healthier environment for Kiwis to live in. If peak demand was decreased, millions of dollars could be saved in the cost of electricity infrastructure. Less strain being put on the electricity networks’ infrastructure (and thus eliminating “peak energy times”) would bring a reduction in infrastructure upgrades. And since the majority of customised price path (CPP) applications to the Commerce Commission are to fund network upgrades, there should be fewer price increases, too. Approximately half of New Zealand’s power companies’ costs are for maintaining their network’s capacity to deliver energy at peak times. The report found that if more Kiwis made an effort to reduce their energy needs during peak times, the overall cost of supplying electricity to New Zealand households could be reduced by $30 million annually. Achieving Better Energy Efficiency Starts with YOU! Simply being more aware of your household’s energy usage is a great place to start when trying to become more energy efficient. And when it comes time to replacing bulbs or other household products, consider the long-term running costs rather than just the initial expense. While becoming more energy efficient and reducing peak energy use, why not shop around for a better energy provider? Switchme, New Zealand’s largest, non-government funded switching site helps you save on your monthly energy costs! Using our free, online switching program, enjoy cost-savings benefits from a new energy provider in only five minutes. Contact us today for more details! Sure, you may know how environmentally friendly and efficient electric vehicles (EVs) are to run. But do you ever wonder what the disadvantages may be to owning your own EV? Here are the top two to consider before making that purchase. EVs can only go so far without needing to be plugged in again. This isn’t a problem if you’re just driving around town and can easily find a charge station if needed. However, this can be an entirely different problem if you’re planning on driving a long distance and haven’t accounted for weather, hills and road gradients. The good news: Not knowing if you have enough energy in your vehicle to get you where you need to go can create anxiety on the drive there. But, this issue may soon be a thing of the past with the new EV models being produced, with certain models having a range of up to 500 kilometres! Plus, charging stations will soon be located every 75 kilometres along our country’s highways, with most of them already installed. Remember, charging takes time, though – so extra time would need to be accounted for if the charging station is needed during your travels! There’s no arguing the fact that EVs are definitely less expensive to run compared to a petrol car. In fact, the Energy Efficiency and Conservation Authority (EECA) have said that driving an EV is 15 percent of the cost of running a similar sized petrol car. Besides the running cost, EVs are also less expensive to maintain – since they don’t have as many moving parts as a petrol or diesel vehicle. Although they are cheaper to run, the fact remains that EVs are less affordable to purchase in the beginning. Plus, the high upfront cost can take years to recoup, depending on your driving habits. Car batteries can lose range over time and will eventually need to be replaced. Resale value can be affected because of this. The good news: Prices for EVs is already substantially cheaper than they were years ago. For example, a brand new Nissan Leaf (which originally cost $69,000) now sells for $39,000, with second-hand models being a much more affordable option. Car batteries currently last about 8-10 years (and are normally covered by manufacturers for a similar warranty period). Technology is improving and making battery replacement cheaper with time. If you own an EV or not, Switchme can help you easily compare power companies to find the most affordable supplier to charge your EV or run the rest of your home. This will help save you money and reduce your energy cost. Looking to save money could be accomplished as easily as switching on your lights…But only if those lights use LED lightbulbs! Simply switching to LED light bulbs in your household could save an average of $100 and $150 annually on your power bill. Not only do LED bulbs use less electricity than traditional incandescent bulbs, but they also last approximately 15 times longer. How Much Less Energy do LED Bulbs Use? While still providing the same amount of light as an incandescent bulb, an LED bulb uses 85 percent less power. Plus, each LED bulb is meant to last 15,000 hours – compared to an incandescent bulb’s lifespan of only 1000 hours and a compact fluorescent lightbulb’s (CFL) lifespan of 10,000 hours! How Do LED Bulbs Work? The light-emitting diodes produced in an LED bulb are semiconductors. When electrons move through this type of semiconductor, light is produced. 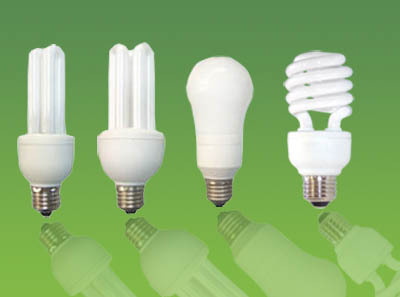 Compared to their counterparts (incandescent and CFL bulbs), LED lights are more efficient at producing light from energy. As a result, less energy is wasted from the bulb and turned into heat. Even with the benefits afforded by switching to LED, only half of New Zealand households have made the switch so far. Although only half of New Zealand’s households have made the switch to LED, that’s still better than three years ago when only 18 percent had made the switch. New Zealanders remain fans of old-fashioned incandescent bulbs; an average of 13 of this type of bulb is still found in each household. Concerns about reliability and energy-saving claims tend to be preventing more New Zealand households from making the switch. However, the Energy Efficiency and Conservation Authority (EECA) tries to counter those arguments by encouraging consumers to buy from brands they know and keep receipts in-case the bulbs don’t last as long as promised. When selecting LED bulbs for your home, review the packaging to compare the wattage of the old incandescent you were using. This would help create a similar brightness. Also, choose whether you want a warm or cool light. If you would rather not replace all the bulbs at once in your home, replace them in areas most frequently used (like the kitchen) first. This would provide the best return on investment. Renting? Consider the LED bulbs a fixture and take them with you when you move! Replace them with incandescent bulbs on your way out. Save Even More by Switching More than Just Your Bulbs! Although the cost for an LED bulb is higher than other types of bulbs, keep in mind that they usually pay themselves off within the first year – and last for at least nine more. Other than switching your lightbulbs for cost-savings measures, why not consider switching your energy provider? Let Switchme show you how easy it can be to start saving even more money! Where are the Vehicles to Use New Zealand’s Electric Vehicle Infrastructure? Although New Zealand’s electric vehicle (EV) infrastructure is almost ready, it seems that Kiwis are not adopting EVs as fast. Soon, charging stations will be available every 75 kilometres along our country’s highways. 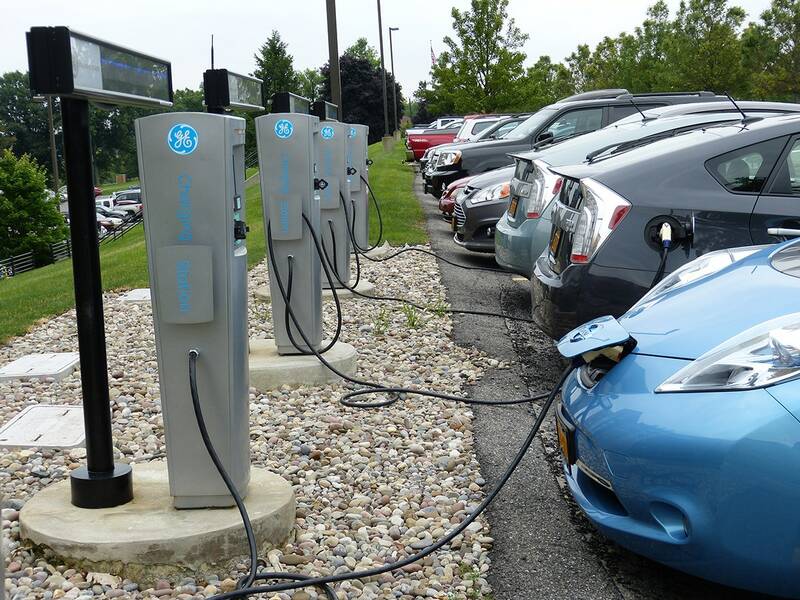 Currently, there are 97 rapid-charging stations available nationwide, with an additional 30 being constructed. Yet the electric vehicle uptake by Kiwis has been slow. Regardless of New Zealand government’s goal of having 64,000 on the road by 2021, there are currently only almost 7,000 according to Drive Electric. Having government agencies lead the way can make undecided businesses more inclined to adopt EVs for their fleet, too. The New Zealand Transport Agency (NZTA) is one such example of a government agency leading the way. Recently, the NZTA committed to purchasing 48 EVs to join the agency’s fleet this year. Eventually, the fleet cars used by both government agencies and private companies would make their way into the second-hand market. This would help increase the nation’s pool of EVs. Environmentally-Friendly: Undoubtedly, the biggest benefit of electric vehicles is their lack of environmental impact. Their zero exhaust emissions help reduce harmful air pollution. When recharged with renewable energy rather than the grid, greenhouse gas emissions are further reduced. Plus, many EVs are produced from recycled materials, using a more eco-friendly production process. Cost-Savings: Although the initial cost of purchasing an EV can be costly, they offer future cost savings. Not only are they cheaper to run than a petrol vehicle, but they also require less maintenance. Health Benefits: Less noise pollution is produced since they’re quieter to run than gas-powered vehicles. Due to the lack of exhaust emissions, less harmful air pollution’s also produced. Why Aren’t More Kiwis Converting from Gas-Powered? Unknown Depreciation: Being a relatively new concept, the depreciation surrounding EVs is unknown. Range anxiety: Concern about whether the EV will have enough battery power to reach the destination (or a suitable charging station). Visual Design: To some people, EVs lack a certain visual dignity that’s offered by non-electric type vehicles. Save on Your Energy Costs with Switchme! Want to know how to save on your energy costs now – without purchasing an EV? Switchme offers a free, easy and convenient way to see if you’re overpaying on your energy costs. Contact us today to learn more about our power company comparison services! Strain of Electric Vehicles (EVs) to New Zealand’s Electricity Network could affect pricing. With the growing popularity of electric vehicles (EVs) in New Zealand, a potential new strain has been added to the country’s electricity network. 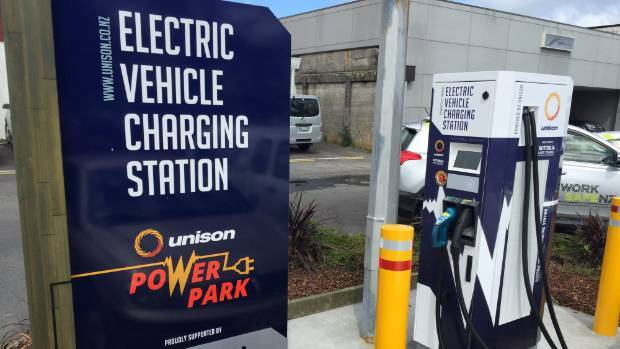 One in 15 Auckland households is predicted to have an electric vehicle within three years, which worries network companies and could affect pricing. Lines company Vector’s recently released green paper suggests that New Zealand needs to create a solid strategy to deal with the country’s uptake of EVs. The company is especially concerned that suburban homes requiring EV charging would add an additional strain to the electricity network. When electricity networks were originally created, they were based on the number of homes on the street. Since a big-battery EV adds the equivalent of one to 20 houses’ power needs, there could be electricity network problems if the use of EVs continues to grow. Even if EVs do not continue to increase in popularity, Vector states that there could still be problems. If current EV owners charge during peak time or use faster-charging options, extra strain could be put on the network. Since many owners decide to charge their cars after getting home after work (at the same time that households use appliances to cook), the supply of electricity could become compromised. Concept Consulting, which has previously argued that EVs are better for the New Zealand environment than solar power, suggests a potential solution. If electricity networks offered a more cost-effective time-of-use pricing model, less strain could be put on the network. For example, EV owners could be motivated to charge their cars after 9 pm if a better pricing model was offered. Some electricity companies have already been offering cheaper pricing for EV owners that charge their vehicles overnight – but more are needed to make a difference. It’s worthwhile to solve the issue regarding the strain on the electricity network, as EVs offer Kiwis numerous benefits! Not only are EVs cheaper to run and maintain, but they offer numerous environmental and health benefits. EVs have zero exhaust emissions, can be created using eco-friendly materials and offer the option for charging with renewable energy. The better air quality created means fewer health problems and costs associated with air pollution. In addition, less noise pollution is produced by EVs as compared to petrol/diesel vehicles. Besides purchasing an EV, are you interested in other cost-savings measures regarding your energy usage? If so, Switchme offers an easy, convenient way to see if a cheaper energy provider is available. Contact us today to use our online, convenient comparison calculator to start saving today! Growing in popularity worldwide, energy efficient “passive homes” have made it to New Zealand now, too. Matamata has the first certified “passive home” and the second in the Waikato. Made of triple-glazed windows, extra thick walls, plenty of insulation and other technologies, a PassivHaus (Passive House) is a German technique used to create an airtight, energy-efficient building. Using climate data collected from Niwa and NASA, architects design a home that’s suitable to the exact climate and building site. In passive homes, the heat lost and gained from sunlight and insulation is controlled to reach the optimum year-round temperature of about 20 degrees. The homes regulate their own temperature regardless of outside temperatures, with little or no active heating or cooling. As a result, the home’s interior is consistently comfortable, healthy and dry. In addition to creating a healthier living environment, passive houses reduce electricity costs, too. The owner of the Passive House in Matamata has seen energy costs in his 1920s refurbished home decrease over $200 each month! A passive home performs three or four times better than newly built homes. Compared to an average home build, there are many different elements involved when building a passive home. Although more challenging than building a traditional home, the end results are more than worthwhile! Since building costs in New Zealand are already expensive, many people do not even consider building a passive home – which costs even more. A homeowner considering building a passive home needs to realize that although it initially costs more to build, a healthier, more comfortable home with lower running costs will be enjoyed over the long-term. Once homeowners realize the long-term value, the higher cost associated with designing and building a passive home becomes easier to absorb. Switchme Can Save You on Energy Costs! Looking for a less cost-intensive way than building a passive home to lower your home’s energy costs? If so, have you considered using Switchme’s services? By using an online system that easily compares alternate energy suppliers, easily see what switching energy companies can do to your monthly energy bill! Contact us today to learn more about why we’re the largest, non-government funded energy switching site! We know that choosing the right type of heat pump for your household’s needs can be confusing. Besides many different manufacturers to choose from, each model offers something different – making the decision a difficult one. That’s why we’ve broken down the most common types used throughout New Zealand. Read on to discover which heat pump would be the best fit to keep your household at the optimal temperature all year round! Heat pumps can be costly – one unit installed can easily cost a few thousand dollars! Making the proper considerations prior to making a purchase can save you from making the wrong decision, and wasting money. 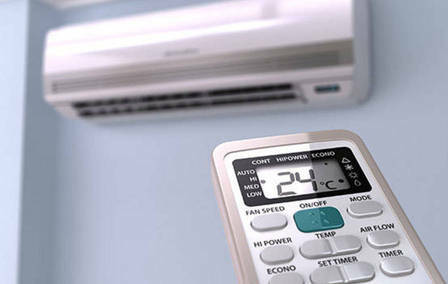 1.Size and Position of Heat Pump: It’s important that you choose the correct size of heat pump for the space you need. Choosing one that is too small for your home will result in higher energy bills since your unit will be working harder. Check with an expert to see what their advice is on the proper heat pump for your space. 2.Energy Efficiency: Energy efficiency varies across heat pump models, so it’s worth using the energy-wise running cost calculator to see the costs associated with running a certain unit. 3.Air Filtration: If air quality is important to you and your family members (especially for those with health concerns), look for a unit that has been approved by the Asthma Foundation NZ Sensitive Choice Program. 4.Output: How powerful your unit is makes a difference with how hard it will have to work to heat or cool your home. 1.Split Heat Pumps: Comprised of two main components, split heat pumps have one inside unit which can be mounted on any wall, floor or ceiling and an outdoor unit. 2.Multi-Split Heat Pumps: Although very similar to split heat pumps, multi-split heat pumps have a larger single outdoor unit. By serving more than one indoor unit, this type of pump can provide heating and cooling across a bigger space. 3.Ducted Heat Pumps: Want to eliminate the look of a noticeable indoor unit? Then a ducted heat pump may be the unit for you! Although more costly than the other types of a heat pump, a ducted system has an outdoor unit as well as flexible ducting. This type of system runs throughout your floor and ceiling to heat and cool your space through household vents. Other than air source heat pumps, geothermal and absorption heat pumps are also available for more niche climates and purposes. Now that you have more knowledge about heat pumps, want to learn about other ways you can lower your energy costs? If so, Switchme can help! By processing energy comparisons and giving free, independent advice, Switchme helps customers save on their monthly energy costs. Contact us today to learn how you, too, can save money on your energy costs! With the warm weather now upon us, it’s important to keep your home as naturally cool as possible. Not only does this save money on energy costs, but finding natural ways to do so is environmentally friendly, too! Below are some of the best ways to keep your home – and your family – as cool as possible during these warm summer months. Your home’s insulation is the best barrier to keeping heat from transferring inside. Ensure you have the appropriate roof and wall insulation to keep your home as cool as possible. Having proper window hoods and well-designed eaves can provide numerous benefits. Not only do they help keep out the heat during the summer months, but they can invite sun in during the cold winter months, too. Insulated window films are an alternative to blinds and provide similar cooling benefits. Having large openings throughout your home can help with replacing hot air inside with cool air from outside. In addition, the home’s inhabitants will perspire less as breezes help cool the body! Have rooms that you don’t utilize often? Consider closing their doors to help direct cool air to the home’s more populated areas. Make the most of the cooler temperatures at nighttime by opening the windows to allow a cross breeze. Just remember to close them in the morning before the heat comes in! Water features, ponds, and pools surrounding a home act like evaporative coolers. They absorb the air’s heat, thereby making it cooler before it enters your home. Like water features, plants and trees around a home can help keep your home cool using the effects of evaporative cooling. Large trees to the west help reduce heat from the afternoon sun. In addition, plants can be used to shade walls and garden beds, and reduce the amount of paving needed. Save on Energy Costs with Switchme! Another great way to save on energy costs is to ensure your electricity provider is giving you the best rate possible. Switchme, New Zealand’s biggest nongovernment funded energy switching site, can help you compare other energy providers’ rates to your own. Use Switchme’s free, online calculator to find the best energy rate possible! Contact Switchme today for more details. When you have an electrical or gas problem at your home, it’s important that you do the right thing – and do it quickly. Being prepared by knowing what to do if an electrical or gas emergency occurs is important. Take the time to review the following information with family and friends...it could save a life. If your whole area loses power, be assured that the local lines company will be working on the problem right away. If you are located in a remote or rural area, contact your local faults number to log the fault. Ensure appliances and electrical equipment are turned off. Not only do they present a fire hazard, but they could become damaged if they’re left on and the power comes back on. If your residence is the only one without power, check the fuse box to see if it’s still working. If it seems to be working, you could have a fault in the supply to your home. If an electrical accident occurs, do not touch the injured person if they are still touching a live electrical source. Be sure to switch the source of electricity off; if unable to, move the source away from you and the injured person using a non-conducting object like a wooden boom handle. Then, dial 111 for an ambulance as soon as possible. If you smell gas around an appliance, turn it off right away. After doing so, call a Registered Craftsman. If you don’t know one, look in the Yellow Pages under "gas fitters." If the gas smell remains after turning off the appliance, turn off the gas supply at the cylinder or gas meter and open windows and doors for ventilation purposes. In addition, call Consumer NZ at 0800 80 9000 to report the fault. In the meanwhile, do not switch on or off any lights or electrical appliances as this could ignite the gas and cause an explosion. Avoid using a telephone (including a mobile phone), matches, lighters or cigarettes near any suspected gas leak. Also, don’t try to track the gas leak yourself – leave it to the professionals! Looking for ways to save on your energy bills? If so, Switchme can help! Contact us today for more details?and to use?our free comparison calculator.? When properly used and maintained, an electric blanket is a comforting way to get through New Zealand’s chilly winter months. However, if safety precautions are not followed when using one of these warm blankets, you could be at risk of injury or a fire. An electric blanket should only be used to warm the bed. To avoid overheating (which can be life threatening, especially for the very young, ill or elderly), it should be turned off before you get into bed. In addition, keep the blanket turned off when you’re not in the room. Most electric blankets do not have automatic shut-offs when reaching a potentially dangerous high temperature, so could cause a burn or a fire hazard. Before using your blanket, be sure to check for damage to the heating elements. To do so, lay the blanket flat and turn it on for 15 minutes at the highest setting. Watch it closely, then turn it off. Feel for hot spots by running your hand over the blanket. Hot spots mean that the heating element’s kinked or damaged, which could lead to electric shock or fire. Look for any kinks, fraying cords, worn or exposed wires and scorch marks as well. If any type of danger is found, safely dispose of the electric blanket. A Proper Fit Means a Safe Fit! A properly fit electric blanket lays flat on the bed without creasing, thereby avoiding damage to the heating elements. Be sure to avoid using pins or other sharp objects to attach the blanket. Keep the cord and control switch clear of the bed so that they don’t get damaged. Old electric blankets are more likely to be dangerous; in fact, blankets that are ten years or older account for 99% of all electric blanket fires. Replace old blankets every few years, even if they still appear to be working. Don’t ever use a blanket that is damaged. To ensure you stay safe while using an electric blanket, make sure to follow the manufacturer’s instructions and recommended safety precautions. Save on Energy Costs this Winter! Looking for ways to save on energy costs this winter? If so, Switchme’s free, online power comparison calculator can easily show you what your options are regarding New Zealand energy providers. Contact us today for more details! Choosing energy efficient appliances is a sure-fire way to save you money on your energy bill. With all the different types and brands of appliances available, how do you select the best energy efficient one for your needs? The tips below will help you save energy costs on appliances for years to come. The appliance’s energy rating label gives you information on how much energy a product uses so you can compare models and their energy efficiencies. The more stars there are on the label, the more efficient that appliance is. Every whiteware appliance, television, computer monitor and heat pump available for sale in New Zealand has to display this label. There is also a blue ENERGY STAR graphic on the label that is an independent, international indicator of the most energy efficient products in each category. Be sure that when comparing appliances, they are of the same type (similar in capacity and features). Be sure to take the time to read reviews on more than one website regarding appliances you are considering. What good is an appliance that uses the least amount of energy in its category, if it doesn’t run well or breaks down easily? Buying the appropriate sized appliance for your household will surely save on energy costs every month! Consider what you will be using the appliance for and how often. If you only have one or two people in your household, a full sized washer and dryer is probably not necessary. Choosing a smaller appliance will not only use less energy, but it will also run more efficiently with a smaller load. The Energy Efficiency and Conservation Authority’s (EECA) helpful “Running Costs Calculator” helps determine how the appliance’s energy rating affects the amount of energy used and how much each appliance will cost per year to run. Annual running costs are calculated using 26c per kWh. An appliance’s features can have a major impact on its energy efficiency. For example, in washing machines, energy saving costs can be found with features such as “cold water wash” and “half load” options; “cool dry” is great in dryers and many appliances feature a “timed delay” option that allows you to program your appliance to work during off-peak hours. Avoid water or ice dispensers in fridges as this feature can cost users 20% more in energy use! Use Switchme to Save You Even More in Energy Costs! Besides having energy-efficient appliances, are you looking for other ways to save on your household’s energy costs? Switchme’s free, independent advice and power comparison calculator has helped over 60,000 kiwis find a cheaper power company. Why not let Switchme help you, too? Contact us today for more details! With winter’s arrival, there’s no time like the present to consider how to lower your energy bill. Depending on the season, there are a lot of solutions that are simple and cost-free. Try out some of the ones listed below to see the savings start adding up on your energy bill! Besides taking advantage of off-peak rates and using cold water when completing your laundry, also consider the size of the load you are washing. Although you should try to do large loads only, make sure that the load will still leave about 25% of the drier empty. This promotes better air flow so that you don’t need to run the drier twice. While doing so, use dryer balls to help speed the drying time and be sure to remove the lint from your dryer trap after each load to maximize its efficiency. Even better, dry your clothes on a clothes line outside. During the winter, keep the heat inside your home by drawing the curtains at dusk. To help stop draughts, use draught stopping tape or door snakes along the bottom of the doors. Set your home’s heater thermostat to a reasonable temperature and try wearing a sweater before cranking the temperature higher. In warmer weather, circulating fans help keep the air moving throughout your home, eliminating the need for your air conditioner to work as hard. Attic fans help reduce energy by removing hot air and pulling cool air into your home. Switching to LED light bulbs will use 90% less energy than incandescent bulbs. Start by replacing the most widely used bulbs in your home, and then replace the remainder when they burn out. In addition, if your appliances are more than ten years old, consider upgrading them to newer, Energy Star models which use much less energy. Stop Dollars from Going down the Drain! Try reducing your shower time as well as installing low-flow shower heads. When there’s less water flowing through your shower head, there’s less water to heat and a better cost savings to you. Keeping fridges and freezers full ensures that less time is needed for the appliances to run to stay cool, since the food acts as insulation. A fridge’s condenser coils need to be clean to work less at cooling your food, so regular maintenance is suggested. When cooking food, turn the oven off a few minutes before your food is completely cooked and let the heat finish the cooking for you. Cooking food with the lid on means it will cook faster, since heat is not escaping. Better yet – use the microwave instead of the oven, since it uses less electricity and does not release as much heat back into your home. Besides ensuring you are doing your own part in reducing your energy costs, have you checked to make sure that you are using the most cost-effective energy provider? Let Switchme help you complete this task! Contact us today for more details. Lighting – Find the Right Bulb for You! Between comparing specifications regarding beam angles, lumens and colour temperatures, shopping for light bulbs can quickly turn into a confusing errand! However, the choice between buying either a compact flurouscent light (CFL) or light emitting diode (LED) bulb can be made easier when you know more about what those specifications mean and which type of bulb offers what. The luminous flux, specified in lumens (symbolized as “lm”) is used to quantify the amount of light emitted in all directions. When the lumen count is high, the light source will be brighter. Depending on where you will be replacing the light bulb will determine how high of a lumen count you should have. In rooms like kitchens, bathrooms and closets where a brighter light would be beneficial, choose a bulb with a high lumen count. Although available in various intensities, the light’s colour temperature also plays a role in the intensity level. Specified in degree Kelvin (K), the light’s colour temperature means the colour appearance of the light. There are various types of colour temperature available when choosing a lightbulb, ranging from yellowish-warm light to blueish-cool light. Keep in mind that the lower the Kelvin value, the more yellowish the light will be. Warm, relaxing white is designated by colour temperatures that range to 3300 Kelvin and cool white is a colour temperature that ranges from 3300 to 5300 Kelvin. Higher than 5300 Kelvin is a daylight white colour temperature. Choosing the correct colour temperature can be made simpler when you first consider the lighting function you want the bulb to fulfill. For rooms that require high levels of concentration like an office work area, a daylight white colour temperature is suggested. A warm white light is usually preferred in bedrooms and living rooms, whereas cool white light ensures maximum brightness in kitchen or utility rooms. The angle of the light emitted from the source is described by the bulb’s beam angle. A larger beam angle means that there is a wider spread of light across an area, although it will have a lower light intensity. On the other hand, a smaller beam angle determines that there is a narrow spread of light across an area, but that light will have a higher light intensity. If you’re shopping for a bulb to replace in a floodlight, a large beam angle (more than 60 degrees) should be purchased. Narrow beam angles are better for downlights and small areas. We Can Help You Save Energy Costs! Choosing the right lightbulb not only creates the perfect atmosphere in the room, but it can also save on energy costs. Contact Switchme today to learn about more options regarding lowering your energy bills! With all the choices available when it comes to electric heating, it can be difficult to choose what type is right for you. Since each heating source is very different from the next, choosing the best one for your needs becomes easier when you consider each heating source’s benefits and disadvantages. As one of the newer types of electric heat, micathermic combines the heating technologies found in both radiant and convection heating. After radiating heat off a panel, natural convection helps disperse heat throughout your room. Micathermic space heaters provide quick heat and instant comfort when you need it most. Because they are fanless, they do not re-circulate dust and other allergens throughout the room, but they also don’t provide as even of a heat. Options to either hang them on walls or place them on floors make micathermic heaters a versatile source of electric heat. Another popular space heater option is a convection heater, which utilizes various heating elements to heat cold air. Heating a room with a convection heater takes time; however, the heat generated also lasts a long time. In addition, convection heaters are quieter than radiant heaters and because some types include fans, heat is better circulated throughout the room. However, this type of electric heat is one of the most expensive options and they can also be quite heavy. Instead of using oil, oil column heaters apply electricity to warm up the oil that’s within their columns or fins. This heated oil is then transferred to the casing as well as the air circulating the fins. Although they take a long time to heat a room, they are efficient since the oil remains warm and heat is still radiated even after the heater’s turned off. Oil column heaters also operate quietly and can heat larger areas more effectively than smaller space heaters. Since their surfaces do not get very hot, they are safe to use when left unattended or while sleeping. One other option when it comes to electric heaters is an oscillating tower fan heater. Heat is quickly produced by these tall, rotating heaters that have a radiant element. Because they warm up the room from top to bottom, an even heat is distributed. Available in various sizes to fit any table or floor space, these heaters usually feature convenient options such as high-heat, low-heat or fan-only. Although typically cheaper than other electric heat sources such as convection, their fans do make them louder. This factor may limit what rooms you would place an oscillating tower fan heater in. Spending some time choosing the best source of electric heat for your needs is only one way to reduce your home or office’s energy costs. Let Switchme help you consider other ways! Contact us today for more details.